Not Just a Realtor—A True Professional. Everyone deserves an agent that can deliver the best results. 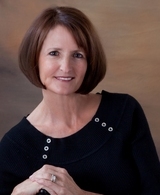 Cheryl’s years of experience in corporate business-to-business sales, along with her Certified Negotiation Expert Accreditation, enables her to do just that. Whether you are buying or selling, she will get the very best price for your home! Cheryl has fine-tune her people skills in a manner that enables honest, succinct and effective communication with her clients. Cheryl exemplifies excellence, upholding the highest level of professionalism. With Cheryl as your Realtor, you will understand the difference between a mere transaction and an exceptional experience. Whether you are a first time home buyer, want to buy or sell a Luxury Home, or need the perfect Equestrian facility, Cheryl Edmonds will provide you with the peace of mind that every home buyer or seller should experience. Excellent real estate agent, with excellent local knowledge, very supportive and always available to answer your questions and to offer solutions. No pressure at anytime to make a decision. She saves no effort in order to make the home buying process as painless as possible. If you relocate from another state, and have interests in Lake Mary, Heathrow, Sanford, Florida I strongly recommend using Cheryl to anyone.